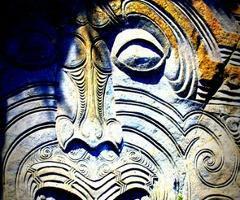 9.30am, Maori Rock Carvings, $39 Early Bird Special! Its the same Scenic Experience but for Less, to the Maori Rock Carvings! 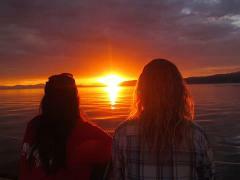 Come on board Fearless for simply the best sailing experience on Great Lake Taupō. This is the more intimate cruise option to the famous Maori Rock carvings, with sleek lines and a maximum of only 18 passengers. Guests can relax on beanbags and snuggle under blankets, or give the crew a hand. 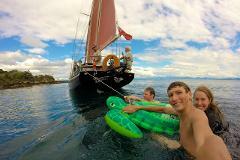 The pirate-Flagged Sail Fearless has got to be the not-so-buried treasure of Great Lake Taupō . With a heart of gold and extensive knowledge of the region, lake and notoriously quick-tempered weather of New Zealand it is no wonder Fearless (David) has won so many awards for his affordable cruises. 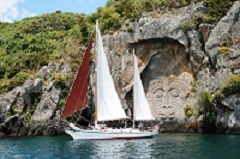 Experience the beauty and thrill of a scenic journey out to the infamous Maori rock carvings taking in the popular Te Kopua and Acacia Bays en route. Be sure to bring your camera to capture some of the most breathtaking views around. Fearless sails under full sail or gently meanders, when it is truly calm, by motor. Each trip includes a swimming stop in summer or winter if your brave (weather depended). The longest swim stop out of any other company on the lake. you can also bring your own light refreshments for your convenience. So come and join us on Fearless for a trip to remember ! Best Experience for your Money with extra time to swim *Now with Free pizza & upto 2 glasses of Beer, wine or non alcoholic drinks. *Now with Free pizza & upto 2 glasses of Beer, wine or non alcoholic drink. so many awards for his affordable cruises. popular Te Kopua and Acacia Bays en route. when it is truly calm, by motor. lake or you can also bring your own light refreshments for your convenience. So come and join us on Fearless for a trip to remember! lake or you can also bring your own for your convenience. you can also bring your own for your convenience.